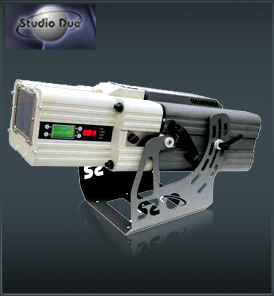 Studio Due Photowall 1200e is a professional image projector for architectural, theatrical, events and most other applications. Thanks its powerfull HMI1200W lamp, its performances, in therms of luminosity and projection, can reach incredibles levels. - standard optic: f160 - f180; Ø80 mm.